Oscar winners will drink David Beckham's favourite whiskey tonight. Do you know which one it is? The drink du jour at the Oscars is, naturally, bubbly - but it's not just any old champagne (is that even a thing?). No. For the ultimate in red carpet affairs, what goes in your glass is as carefully planned as any other detail. And since 2012, the official champagne of the Oscars has been Piper Heidsieck, an iconic champagne house - naturally, from the Champagne region of France, in case you still need reminding that anything produced outside this region is NOT champagne but sparkling wine. 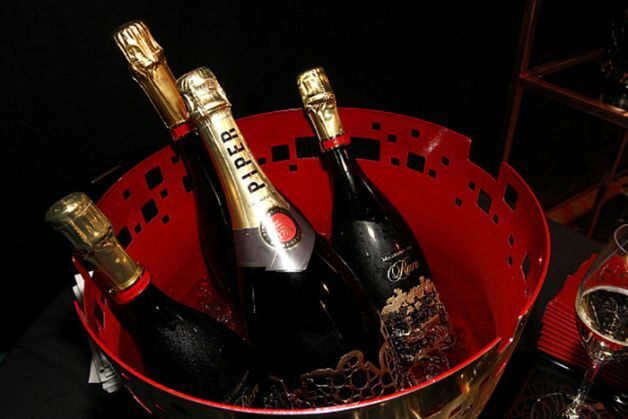 The guest list of 1,500 who attended the official Oscars afterparty, the Governor's Ball, drank from a specially-created bottle, only in Magnum size (that's 1.5 litres or two standard champagne bottles), that Piper Heidsieck revealed last week. Called Red Carpet Ready, 1,000 of these Magnums have been specially crafted for the 88th Academy Awards and have the words 88 and Oscars wrapped in golden lettering around the bottles. But no amount of money can buy the stuff the winners were drinking in the engraving room - the ante-space where they take their newly-minted Oscar statuettes to have their names engraved on them. If the winners represent the elitest of the elite, what they're drinking did, too - a dedicated bar in this space served Rare 1988, a vintage that forms part of Piper Heidsieck's cuvee rare champagnes. Only eight such vintages have been produced since 1976, so that makes them exceptional to start - but even within those eight years, there are hierarchies of quality. Rare 1988 is one of those, arguably among the finest champagne Piper Heidseick has ever produced. And as Benoit Collard, Global Executive Director of the venerable champagne house said in an interview recently, "if you find yourself with a glass of this champagne in your hand, you'll experience something we never thought we would ever do, which is create a limited-edition product that will never actually be sold." Not a champagne person (and really, who are you?). Red and white were naturally on offer, both from Napa Valley's Sterling Vineyards. This is the 10th year Sterling was the wine of choice at arguably the world's most glamorous party, so when you're next in Napa, you know your pit stop. 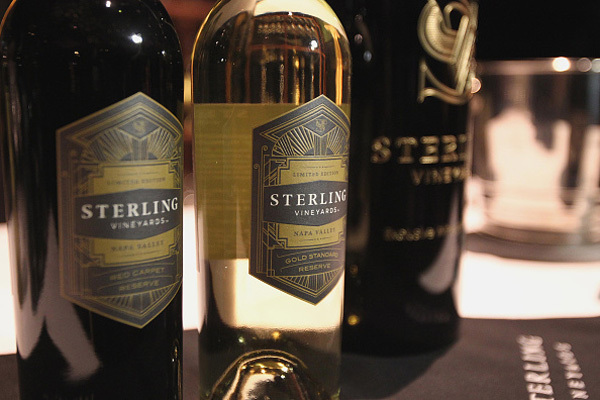 Two custom-made wines were served, the Sterling Vineyards Limited Edition Gold Standard Reserve and Red Carpet Reserve. Also on pour were four Sterling staples - Napa Valley Sauvignon Blanc, Chardonnay, Cabernet Sauvignon and Reserve Chardonnay. Apparently, 2,700 bottles of the wine were being prepped for the big night, which may not sound much till you add that to the caseloads of champagne and epic quantities of every other liquor you can imagine that will be on offer. Not a wine-drinker? When planning your own red-carpet party, stock up on Haig Club, the official whiskey for the Governor's Ball. Apparently 130 bottles of the single grain Scotch - David Beckham's favourite - were shipped to the venue, to be drunk neat or in any of a host of whiskey-cocktails the talented bartenders on hand will concoct. 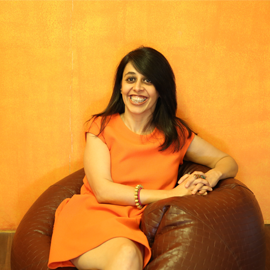 Planning a glamorous do anytime soon? You know what to serve if you want to keep up with the stars.